We are on the final countdown, with Wednesday being Roy’s last treatment day and time for celebration. He has had no side effects, he doesn’t glow in the dark or have any superpowers although we are forever hopeful he achieves the latter! We are forever thankful that we had options and everything has gone to plan with a great outcome. And thank goodness for Winston’s gold card. For those not in NZ, Winston Peters is a long serving MP (who will be the stand-in Prime Minister whilst Jacinda is on maternity leave) who a few years ago organised a gold card for senior citizens which entitles them to free public transport in most major cities as well as discounts at some stores. The gold card has been used by Roy every day for the past 7 and a half weeks to get the train in and out to Newmarket, then a free bus to the hospital and return. It has saved us not only many $$$’s but also in time and stress as we haven’t had to drive in, fighting the traffic, looking for parking, as well as petrol costs. Well done Winnie! It’s been another week of catching up with friends and family. Bill & Linda came visiting last Sunday as they were having an open home is readiness to sell, so it was great to catch up with them. Gary & Marg called in on their way through Auckland for lunch on Wednesday, and of course I had my lunch “date”with Janet on Thursday. Steve & Les called in on Saturday with two of their granddaughters on their way back to Whangamata. In between we have had Drs appointments and other matters to attend to so all in all a busy old time, which is great as it means that we are never bored! On Friday I was asked if I would drive a motorhome from the wharf to Drury as I had done the previous week. Sure, why not? So off we trotted on Friday afternoon, on the train this time into Britomart, however, I had to pay for my journey as I have a few years to go before I qualify for one of Winnie’s cards. However, this time I did take a couple of pictures of the vehicles we were picking up. I drove the one at the rear in the above photo. First we have to visit the petrol station just around the corner to put in enough diesel to get us back. That done we all headed off. We had discussed which exit would be the best to get off the motorway as this was Friday afternoon and it was also the start of the long weekend Queens Birthday weekend which meant that the traffic would be worse than usual, if that is all possible. Once crawling along the motorway I got to the Redoubt Road exit at Manukau and could see the traffic was at a standstill ahead so I ducked off there. Wending my way through the back roads (just as well I know my way around), avoiding schools as by this time it after 3pm and schools were finishing, however I got to Drury in good time. Then I had to wait at least 30minutes for the others to start to arrive, each one had taken a different exit hence our staggered arrival times. The weather has been brilliant this past week, well, brilliantly fine during the day but freezing cold overnight. There is a kiwi fruit orchard over the back of Ardmore and so for a few nights helicopters have been flying over the vines for frost protection. During cold and still conditions, the down draught from the helicopter causes the slightly warmer air layered above to circulate amongst the vines, reducing the likelyhood of frost damage. Effective but noisy. Now we have rain settled in for the day by the looks of it, oh well, at least it’s warmer. Yet another week of routine has crept on by interspersed by visits from friends and family. Only 2 1/2 weeks of treatment left for Roy and the daily routine of train, bus walk, bus, train, travel every day, it’s almost like having a job!! Luckily Roy has so far suffered no side effects from the treatment, long may it continue. It was an early start on Monday morning as we were heading across town to see brother John and his partner Jude at Auckland Airport. We arrived in time for their 7.30am arrival at the Domestic terminal from Whakatane and to collect a large box of feijoas from Johns garden which will shortly be made into lots of goodies. It was then a short walk over to the International terminal, where we all met for breakfast. John & Jude are off on their overseas odyssey, first to London, then to France, Spain & Portugal where along the way Jude will be walking some of the Camino Santiago path with John driving their motorhome as support crew. But first they will be spending a few days with Alex & Ian so a few goodies from Mum & Dad were stashed into their luggage. I was only slightly envious of their coming adventures – Yeah Right!!! To add insult to injury, I get sent a picture of John & Jude outside Morrisons….a store we became known to frequent whilst we were there, getting in supplies. We wish them all the best and are sure they are in for an amazing time. Bill P called in one afternoon for a cuppa and another morning both Bill P and Janet called in for morning tea, it’s so nice getting visitors especially when we feel so tied to one spot. The days are starting to get a little cooler as well as darker earlier and earlier in the evenings. However it’s only a month away until the shortest day and then we can look forward to the evenings eking out. Antony comes round each evening to join us for dinner or sometimes for a change we go to his place where I cook dinner. And there are always chores to be done which keep us busy. A cunning plan is in place, the tunnels for escape are beginning to take shape, the guards distracted, just the documents and uniforms to sort!! All will come to pass in a few weeks when we can escape from what feels like captivity! Meanwhile, this week has been just a little busy what with one thing and another, however in amongst everything else we have managed to catch up with a few friends. Last weekend we escaped our usual routines and headed down to Hamilton to stay with good friends Wade & Lindsay. It was just so lovely to have a change of scenery and to be able to relax with them and have a few laughs. As usual I forgot to take pictures, but I did manage to sneak in this one of Wade & Lindsay as we were all intently looking up things on our respective devices!!! We caught up on each other’s news and had a few laughs about the things we used to get up to. Eating oranges at Mimiwhangata …..weren’t they cute?? After a lovely relaxing time,which included eating great food and drinking some lovely wines, it was time for us to head back to the big smoke and our routine. Later in the week we called into see Brian, a good friend who has recently given up the motorhome life and whose lovely wife Marj passed away suddenly at the beginning of the year. He is now settled into a retirement village and is looking forward with lots of plans. We shared a number of trips with Brian & Marj and it’s now good to see a bit of a spark appear back in his life. It was great to catch up and to see him looking so well and to hear all his news. Next was a visit to Jim who has recently had a hip replacement, which hasn’t exactly gone to plan but he is now on the road to recovery and should be back to his bus soon. Then it was a meet up of Roy’s old friends from his youth, we all met at the cafe at Ardmore for lunch and to catch up on news. Again it was great to see everyone and catch up on their news. This time I did remember to take a photo. We are on the countdown, Roy has completed 9 trips into Auckland Hospital for his radiation treatment so now there is just 29 to go. We have slipped into a semblance of a daily routine which involves me dropping Roy off at the train station, he travels into Newmarket, then gets the bus from there to the hospital, has his treatment then reverses the travel arrangements. The only difference in the routine are the times, as each day the appointment times vary which can mean either leaving the van for the train at anytime from 9am through to midday. And of course there is the odd day that the appointment times go out the window with an unscheduled delay holding up proceedings. Meanwhile, I either go swimming, shopping, go to Antony’s to do the washing, return to the van to do a few chores or sometimes meet up with friends. Fellow motorhomer Jim has recently had a hip replacement, he is parked up next to us at Ardmore so we keep an eye on him and between us and a few others we manage to get him to his appointments, do his shopping and keep on top of his chores. Antony usually comes and joins us for dinner each evening and as well, the past two weekends we have been up to Shakespear to collect wood from some of the dead trees that had to be cut down. Ranger Bruce met us last weekend on our way in to collect firewood and told us that there wasn’t much left but there was the large lengths left behind and if we waited for him to do a few jobs he would return with chainsaw in hand he would cut up the last of the logs for us. Antony now has plenty of firewood to last the winter. We’ve had a few visits from friends, Ron & Janet called in for a lovely visit and lunch last week, and Bill P came round for a chat and a catch up. 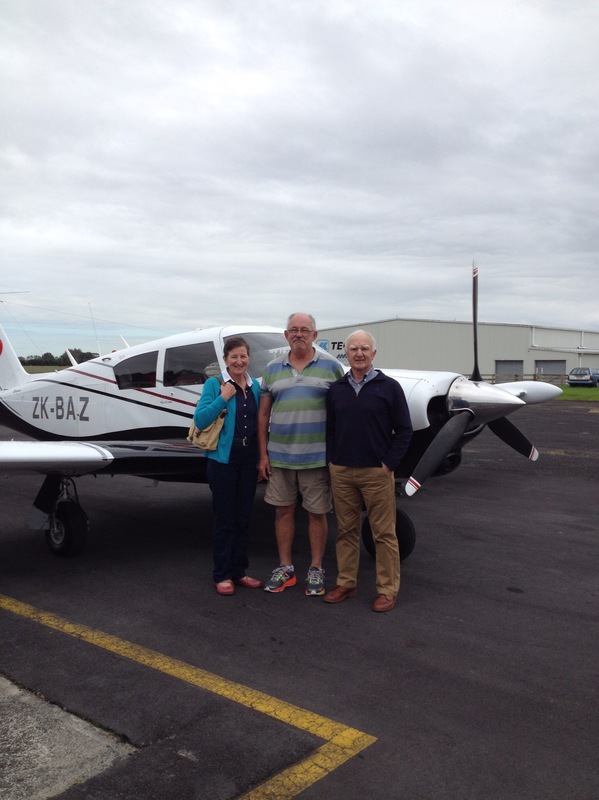 Barry & Sandra called in on their way through Auckland and we have plans to meet up with others later in the week. We’ve been across town to have lunch with Simon & Anita and granddaughter Maria who is growing up oh so fast, she is nearly 20months old. And we also went out to dinner to Eti & Rona’s home. We met Eti & Rona at Shakespear, they come and camp there every year and over our time as camp hosts we have enjoyed their company and many a BBQ with them and their family. It was lovely to catch up with them and hope to see them again soon. Roy had a birthday last week so Roy, Antony and I went out for dinner at a local pub/restaurant, it also happened to be quiz night at the pub so we joined on in. We didn’t win but we did ok for a small team and we had a good laugh or two as well. Anzac Day was an early start to the day with Roy and Antony heading off to dawn parade at 5.15am. It also happens to be grandson Andre’s birthday, he is 8 this year, which necessitated a call to pass on birthday wishes. They grow up so fast don’t they? Meanwhile a couple of batches of Anzac Biscuits were made, one lot the traditional version and another batch of my version with lots of extras added. They seem to have gone down well as there are not many left! All in all, every day seems to be pretty busy with very little spare time which is a good thing as before we know it, we will be able to get on with other things and it will be time to get in some fishing again……it seems ages since we have been fishing and had fresh fish for dinner. 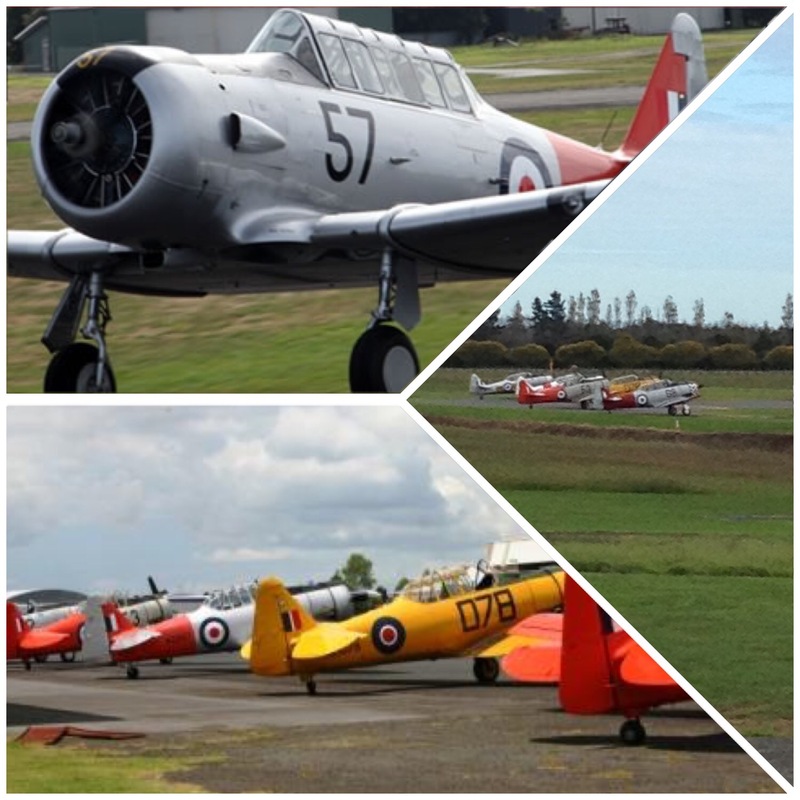 Our time at Shakespear finished last weekend and we reluctantly left on Monday heading not too far away across the harbour to Ardmore Airport and the NZMCA Park there. Along the way we had to fill with LPG and petrol, then it was off to the tyre shop to get all the pressures checked before we could get onto the motorway and head south. A quick visit to Bruce Pullman park to empty the waste tanks and fill with water before heading around the corner to Ardmore where we have parked ourselves for the next few weeks. And yes, it is with permission that we have been allowed to park here for any length of time as Roy started his radiation treatment on Thursday. We have a little routine all sorted whereby I drop Roy off at the train station which is just 5 minutes away, he catches the train into Newmarket then it is a short bus ride to the hospital gates. Being over a certain age qualifies him for free train and bus travel which is handy. Meanwhile I go to the aquatic centre which is right next to the train station for a swim before heading back to the van to await Roy to message me his return arrival time. The treatment itself does not take very long, it’s just the travel to get there. 2 treatments down, 36 to go! We decided that train travel for most of the journey was by far the easiest way to go, no traffic to deal with as there seems to be a holdup or accident somewhere on the motorway system just about every day, and if necessary it is less than a 15minute walk from Newmarket to the hospital if anything should delay the bus. Antony lives just around the corner from Ardmore so we have seen a bit of him, including helping him celebrate his birthday on Friday. We are managing to catch up with a few friends as well whilst we are here and get a few bits and pieces done as there is always something to do or shopping to be done, people to see, you get the picture! Speaking of pictures you will notice that there aren’t any in this post, no excuses, I just haven’t taken any. When we get a call from friends Barry & Sandra asking if we will be around to join them for morning tea, we know that it will be a flying visit – literally! As we are currently parked at the motorhome parking area at Ardmore Airport it was an opportune time for Sandra & Barry to visit from their home at Taupo Airport. You see they have a plane with which they hop into to make their visits and sure enough just before 10am they landed at the airstrip in front of us! We wandered down to greet them and spent the next couple of hours at the Airport Cafe catching up on all each other’s news before putting the world to rights. It’s not the first time that they have visited, there was the time when we were in Takaka, Kaitaia and in Thames. 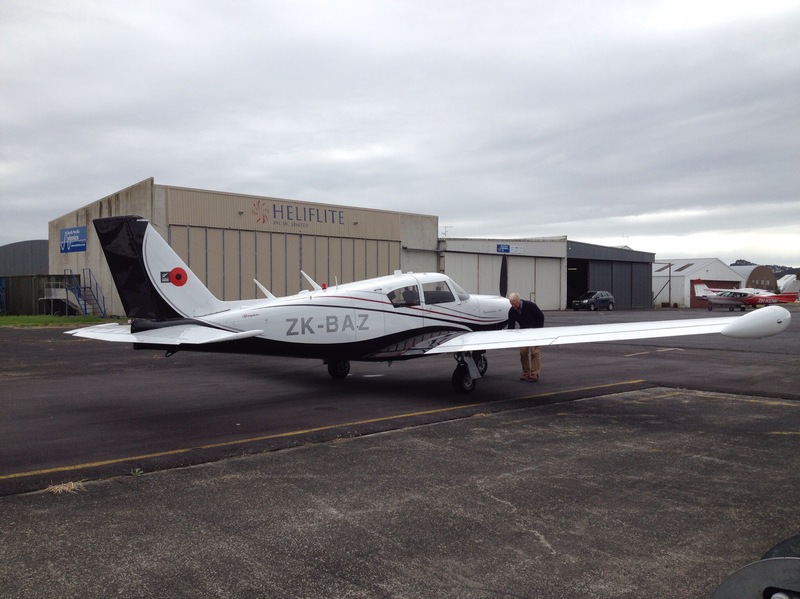 As well as us visiting them at their base in Taupo and here. We were interrupted from our chatting by the roar of engines, sure enough there were 5 Harvard planes lined up ready for a takeoff. These are part of the Warbirds collection that regularly fly at air shows and events around the country. And with a roar they were all off in quick succession and were soon flying in formation over the city, we presumed as practise for ANZAC Day commemorations next week. Soon it was time for Sandra and Barry to head back home to Taupo. It’s always great to catch up with them and we look forward to the next time.